While Auschwitz is the most notorious of them all, the Nazis established over 40,000 concentration camps between 1933 and 1945. Some were used to force Jewish, Roma, LGBT, and other minorities to work, while others were used to systematically murder those people. In Treblinka alone, approximately 876,000 people were killed, and over 800,000 of the victims of this abhorrent violence were Jewish. 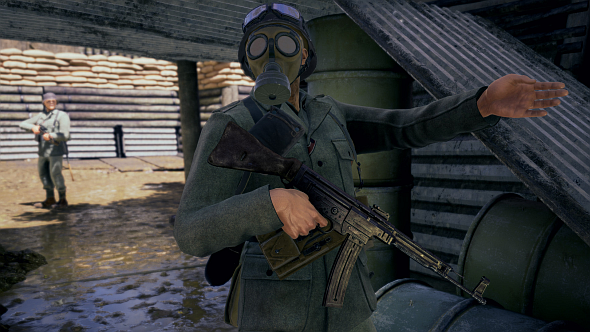 Videogame portrayals of WWII and Nazism tend to shy away from this ugly truth, instead choosing to focus on the gun-on-gun conflicts of the time, ignoring the atrocities that backed them. 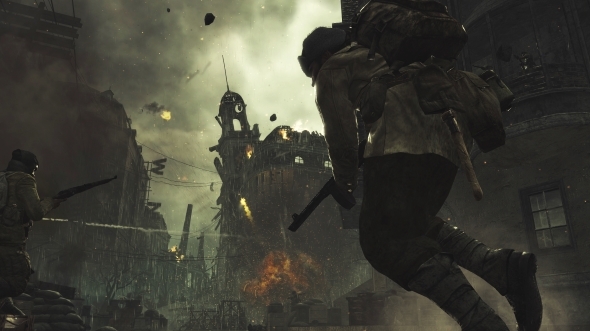 The first game to touch on WWII was Castle Wolfenstein in 1981, but Nazis have been shown across popular culture since the ‘40s, appearing in radio shows such as Fibber McGee And Molly, where they were used as propaganda tools by the anti-fascist movements of the age. Even Superman and Captain America were on the airwaves as the war raged on, bringing down fascism with their fists. Back then, it was a fantasy escape from real-world horrors, a cathartic release to a world where a man in a red cape can zip across the planet in a flash and single-handedly bring down the most hateful ideology our world has ever seen. In comics and on the radio, these pop culture portrayals were a reminder that those reading and listening were on the right side of history. Nazis in pop culture have endured, of course, and we still see them appear as bad guys in films and games. But has the prevalence of Nazis in media led to them losing their impact? 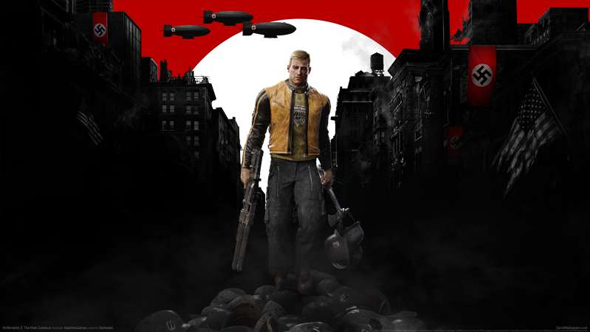 Once introduced into fiction as a coping mechanism, Nazis as they appear in videogames today are a default bad guy – fodder for you to shoot at without needing to feel bad about it. They’ve become as synonymous with videogame antagonists as zombies (hell, several games in Activision’s Call of Duty series combine the two) and they’re often portrayed as being just as mindless. After decades of being shown Nazis in this way, this approach is perhaps beginning to lose its effectiveness on the general public. Rather than portraying them as one-dimensional bad guys, should we also show how someone can slide into such an ideology? 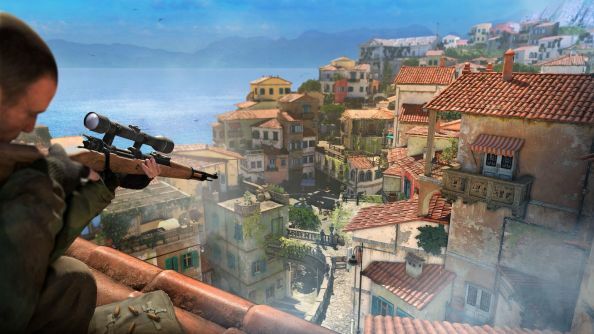 “To show them as caricatures is abhorrent – exactly as they did to the Jews,” Daniel Griliopoulos, the Jewish co-author of Ten Things Video Games Can Teach Us: (about life, philosophy and everything), says. “They weren’t monsters – they had particular belief structures that made sense to them in the context of their time, and were grounded in philosophies that go all the way back to Plato. They had smart people like Martin Heidegger who thought that they were doing the right thing, because the moral unit for them wasn’t the human being, but the Aryan human being, and everything else should be sacrificed. That’s not an alien thought structure to anyone who values their countrymen over foreigners. In 2017, Nazism is once again on the rise, hiding under the guise of the ‘Alt-Right’. Those caricatures aren’t cartoons any more: they’re on the news, they’re gathering huge followings on social media, and they might even live down your street. You’ll recognise them by their hateful views and, most tellingly, their Nazi salutes. Videogames, thus far, have stayed away from talking about modern Nazism. In fact, there are numerous instances of triple-A developers distancing themselves from politics. Though it doesn’t feature Nazis, Far Cry 5 is a recent example of this. Nintendo said they would never touch politics at all. Hell, even David Cage, who makes interactive movies over on PlayStation, said his games aren’t trying to say anything. This is often the same for games that depict historical Nazism. 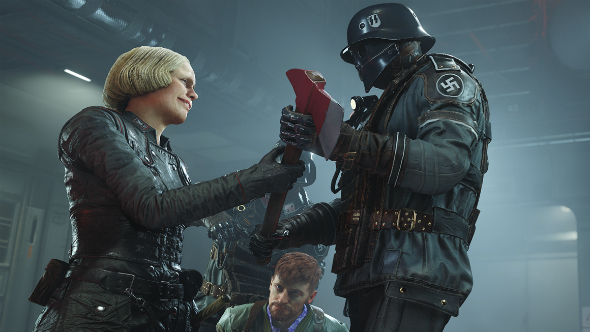 While it appears that Wolfenstein 2 is making some kind of grand political comment on our current world, developers MachineGames have said that this wasn’t intentional. They are clearly stating that Nazis are bad – which is, weirdly, somehow controversial in itself in 2017 – but the game’s lengthy development time meant that they didn’t know the game would launch in the modern political climate. MachineGames may not be aiming to make a broader contemporary point, but they dare to do more with Nazis than turn them into simple shooting targets. Instead, they are mocked through clever, snappy, and cutting writing, which emerges from conversations that the player is allowed to eavesdrop on. But the paucity of such thoughtful depictions isn’t the main problem with portraying Nazism in videogames. You see, we’re also forgetting the victims. While Nazis are being glamorised as Bond-esque villains, goose-stepping and twirling their moustaches, Jews are almost entirely absent from videogames. Not just Jewish victims of the gas chambers, but also the Jews who fought against the Nazis, pushed aside in favour for more traditional American heroes or British special forces soldiers. Over 50,000 Jewish men and women served the US army during WWII, there were one million Jews in the Allied forces, 30,000 in the British army, 100,000 in the Polish military, and 500,000 in the Soviet forces. There’s no doubt that videogames are doing a disservice to all of these fighters, as well as those killed in concentration camps. However Italian indie developers 101% are attempting to capture precisely such an area in their new virtual reality experience. Witness: Auschwitz is being created by a Jewish team who are hoping to highlight what was perhaps WWII’s biggest atrocity, in an age of social media Auschwitz tourist selfies. Games can, of course, be a powerful storytelling tool, but is it morally justifiable to make a triple-A game as they exist today that touches on these topics, while also trying to sell DLC and adding in an XP-farming multiplayer component? 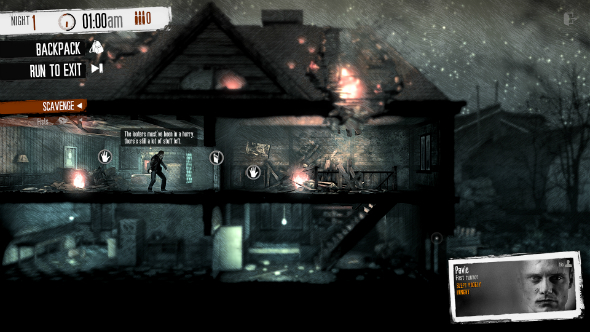 Perhaps, like with Witness: Auschwitz, the answer lies in the indie scene, where games such as This War of Mine and Papers, Please have proved that games can tackle serious issues respectfully and thoughtfully. 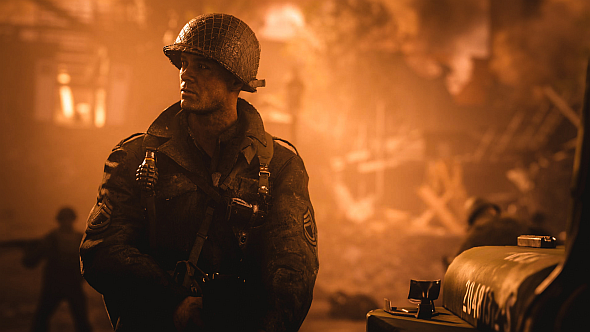 Even if a videogame successfully highlights one of the conflict’s horrors, however, WWII is still a vast, complex mess, and there’s no way to capture every single facet of one of humanity’s most disgusting historical periods. 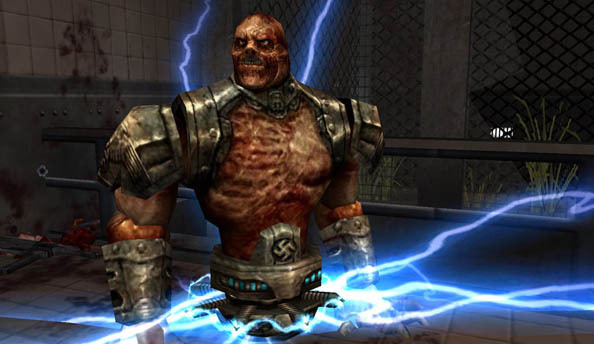 Since Nazism is on the rise once more, videogames could play a part in counteracting it through catharsis and education, just as Superman and his super-powered friends once did. Today, the Alt-Right are anti-immigration, mock the LGBT community, and scapegoat anyone with a different belief system. Hitler and his forces did the same during WWII. The Führer famously said, “If you tell a big enough lie and tell it frequently enough, it will be believed.” He used lies to control people, and any media outlets speaking the truth against him would be dubbed “Lügenpresse”, or “lying press.” It’s the proto ‘fake news’. 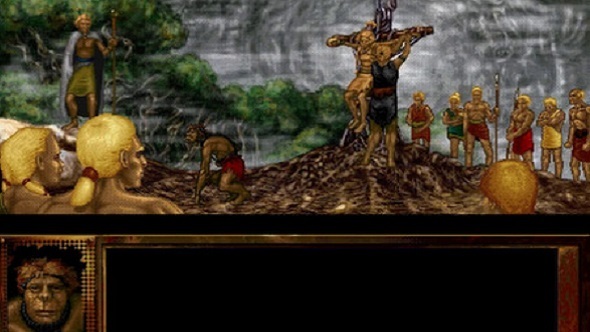 History has a habit of repeating itself when people forget, you see, but are videogames the right place to remind us? They’re bigger than any other entertainment medium, after all, but often the medium with the least to say. And yet, there is a value to tackling subjects head-on, forcing players to confront horror – to make them feel something. With metaphor, you run the risk that some might not parse the message. 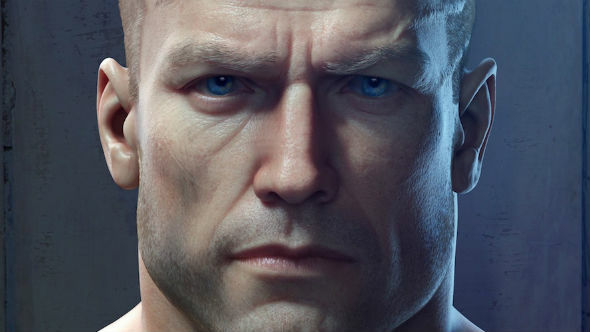 Already, we can see the word Nazi beginning to lose its impact, with people using terms like ‘grammar nazi’ and ‘feminazi’, and referring to PC videogame players as the ‘master race’. During the course of WWII, the Nazis did extensive experiments based around mass sterilisation, chemically sealing off women’s fallopian tubes, or using X-rays to irradiate people’s reproductive organs. Terrified and starving children were experimented on, too. Dr. Josef Mengele had a particular interest in childhood twins, and would put them through painful examinations over the course of hours. Once finished, they would be killed by injection so the doctor could conduct an autopsy. The Nazis saw these persecuted minorities as subhuman, in a bid to remove themselves from the reality of what they were doing their fellow people. By constantly portraying Nazis as shooting targets and forgetting to show the real horrors of WWII, are we also neglecting to remember the conflict’s human cost?